…and what a fantastic nightmare it turned out to be. US primarily follows Adelaide Wilson (an eerily good Lupita Nyong’o) as she and her family of four begin their summer vacation away from home at their beach house. The audience is quick to learn that Adelaide has a traumatic past from her childhood at this beach and something from that night at the carnival has been lingering inside her and haunting her since it happened. After a small scare at the beach, something even more terrifying happens that night – a family of what appear to be doppelgangers of themselves appear in their driveway and invade their home, thus beginning a truly terrifying cat and mouse game of surviving a battle against themselves. From the opening scene and the beautifully eerie title role, it’s clear Peele is masterful in setting up his film. Even with sprinkling in comedy here and there, the unsettling feeling he creates even before the doppelgangers are introduced is quite chilling. The score is fantastic as is his choice of songs and their arrangements through, and let me tell you – I may never be able to listen to The Beach Boys the same again. What’s truly impressive performance-wise is that every actor in this film has a dual role and every single one of them manage to pull it off remarkably. 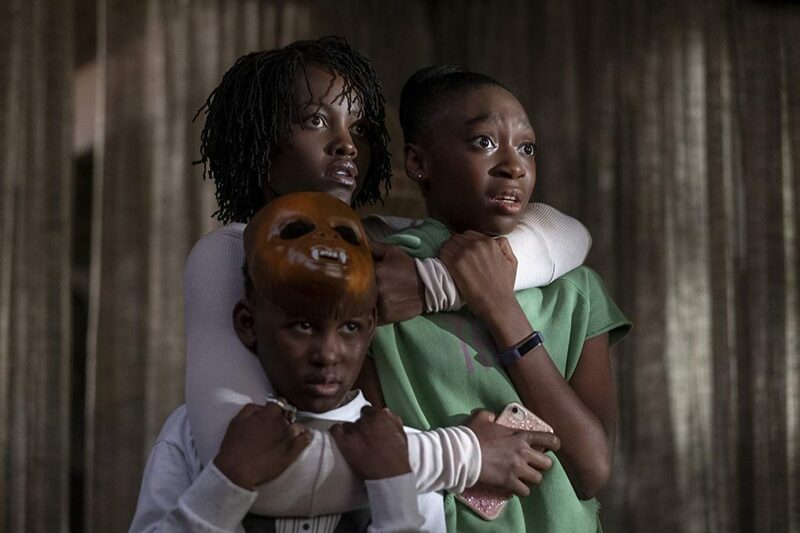 Of course, Lupita leads the pack with her frighteningly good performance as both Adelaide and Red (who is the only doppelganger who speaks throughout the film). Her husband in the film is portrayed by an incredibly entertaining Winston Duke, who provides quite a bit of laughs even when he’s seemingly not even trying. The kids (Shahadi Wright Joseph and Evan Alex) do a wonderful job themselves as well, Alex being the standout for me. US is truly a wild ride, as it intends to prove one’s greatest enemy is in fact them. If I had one complaint about it, it would be that the explanation as to why everything is happening is kind of just laid out through a bit of heavy exposition near the end of the movie. It does work under the context of everything that’s happened and what’s yet to come in the chilling finale, but I’m always one to appreciate organic discovery over expositional dialogue any day of the week. 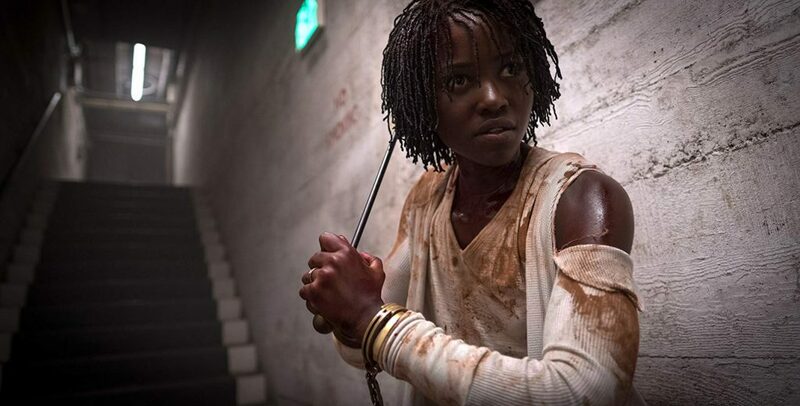 I also believe that much like he did with GET OUT, Peele crafted US so masterfully with several layers that it demands a repeat viewing, which I’m certain will do nothing but enhance the viewer’s experience and overall opinion of the film given what the or she already knows from the first. 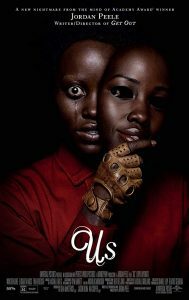 US is only Jordan Peele’s second film, but he’s two for two in my book and I can’t wait to see what kind of nightmare he dreams up next.